Taste test: It's rare that you seen anything truly original among vinegar chips, but Boyer's has done just that. 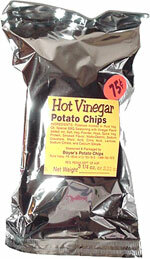 Boyer's has combined the zing of a vinegar chip with the hot aftertaste of a hot barbecue chip. They've taken this flavorful seasoning and spread it liberally over the great wide-rippled Boyer's chips. 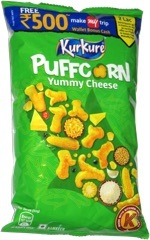 People who like hot stuff and vinegar chips will like these a lot. Good stuff! Smell test: Sort of a vinegary aroma, with seasonings.